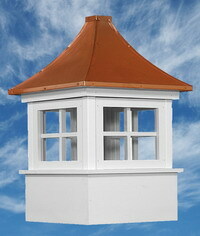 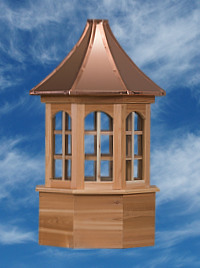 Our line of Amish Built Cupolas are guaranteed to add a unique look to any roof you put them on. 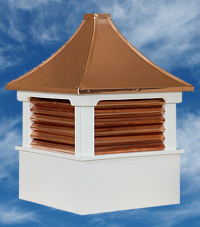 All of the Cupolas we offer are Engineer drawn and approved, and rated for winds up to 120mph. 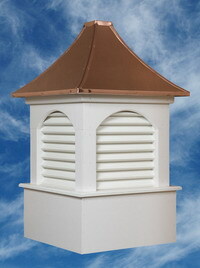 All of our cupolas are manufactured soley of AZTEK trim, a rot, moisture, and insect resistant material. 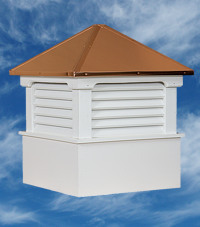 Making for a maintenance free product. 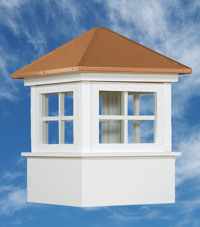 All 3 series offer windowed or louvered versions. 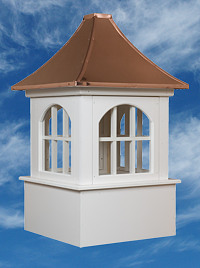 A good rule of thumb in selecting the right size cupola for you building is a minimum of 1.25″ for every foot of unbroken roof ridge line. 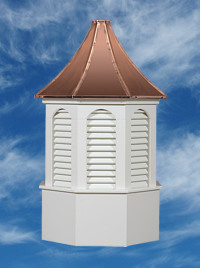 For example: if a roof section measures 24′, the minimum size the cupola should be 30″. 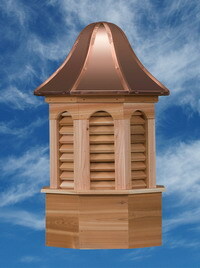 For roof lengths of 48′ and longer you may want to consider using 2 or 3 cupolas.